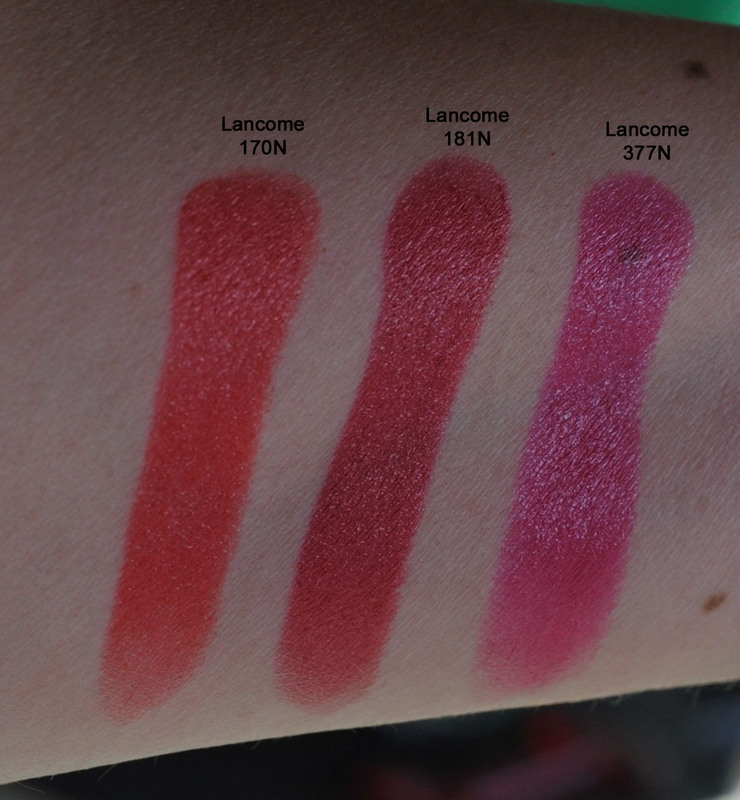 You have probably already noticed that these wonderful Lancome lipsticks are now starting to hit the counters. 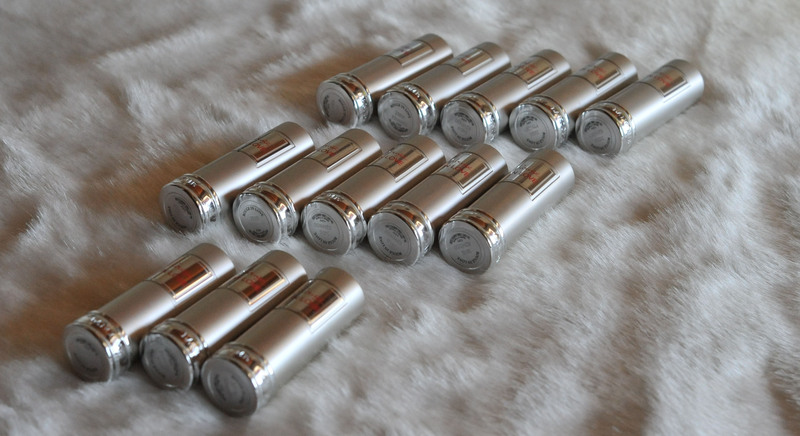 When I bought the first one I did not even know that they were long-lasting and so bright ! 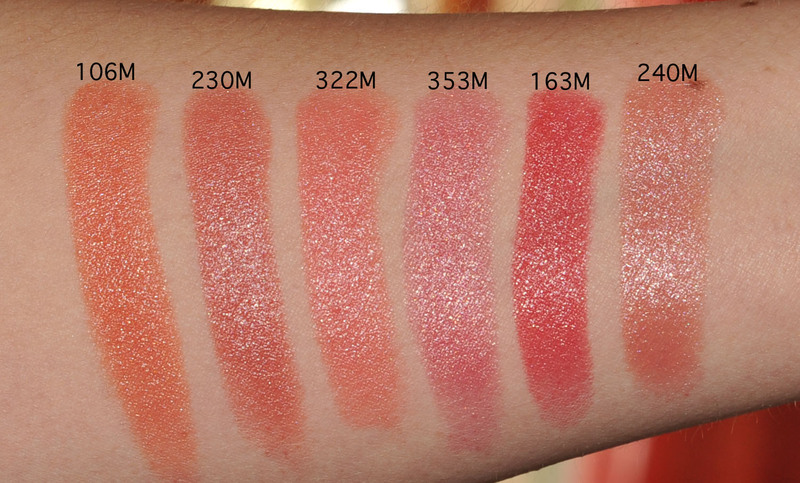 They are bright when you swatch them but on the lips the impact is even greater ! 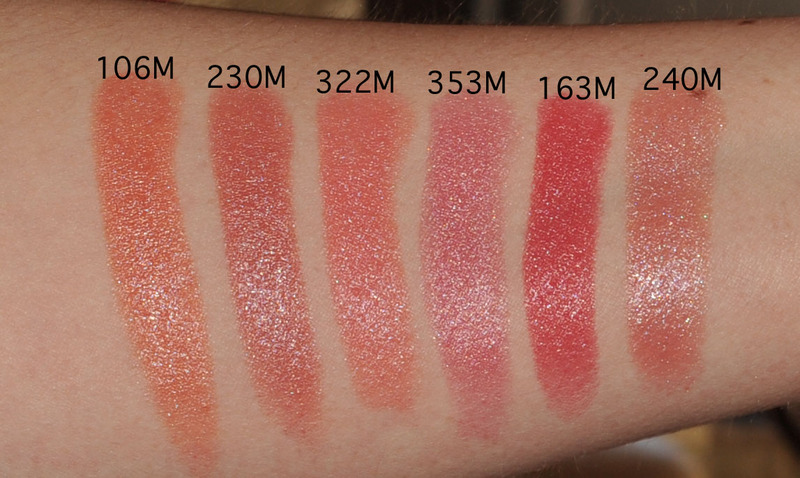 I wanted to share a few swatches with you. I have tried to find out what shades were released but depending on the location they seem to be different. They even have french and english names, sometimes they are the same. It is very confusing. 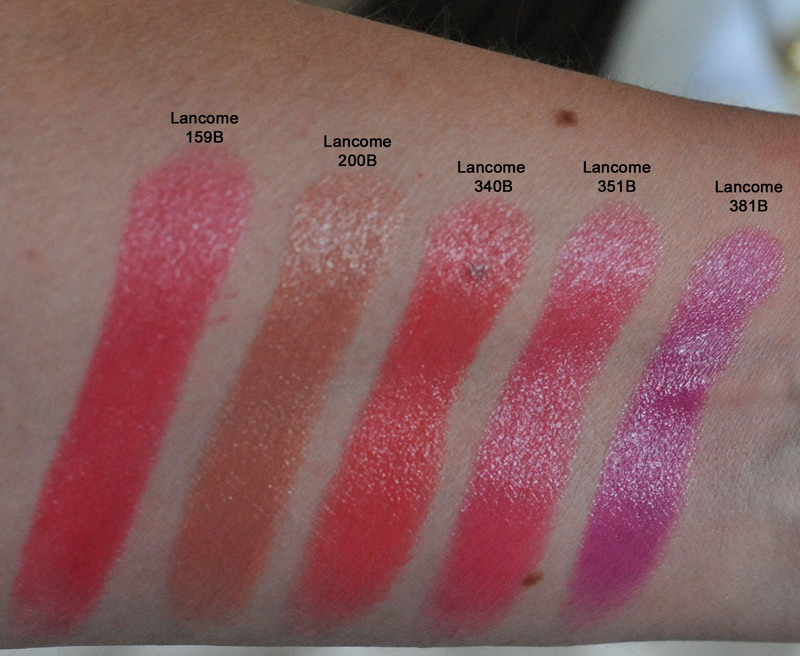 Even in the Lancome site the numbers released in Europe and in the US are not the same. 240M Rose en Déshabillé n/a ? 300M Beige Dentelle n/a ? 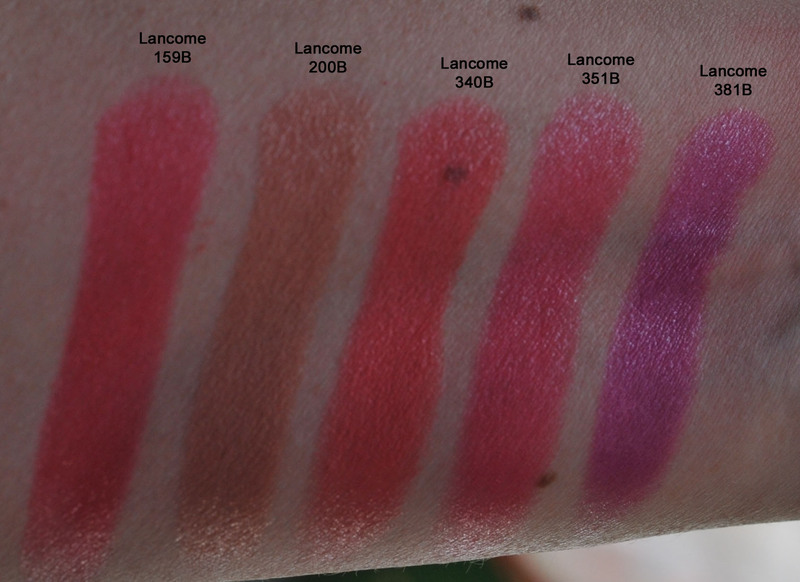 159B Rouge in Love n/a ? 351B Rose des Soupirants n/a ? 277N Violine Lamée n/a ? 379N Rose Sulfureuse n/a ? 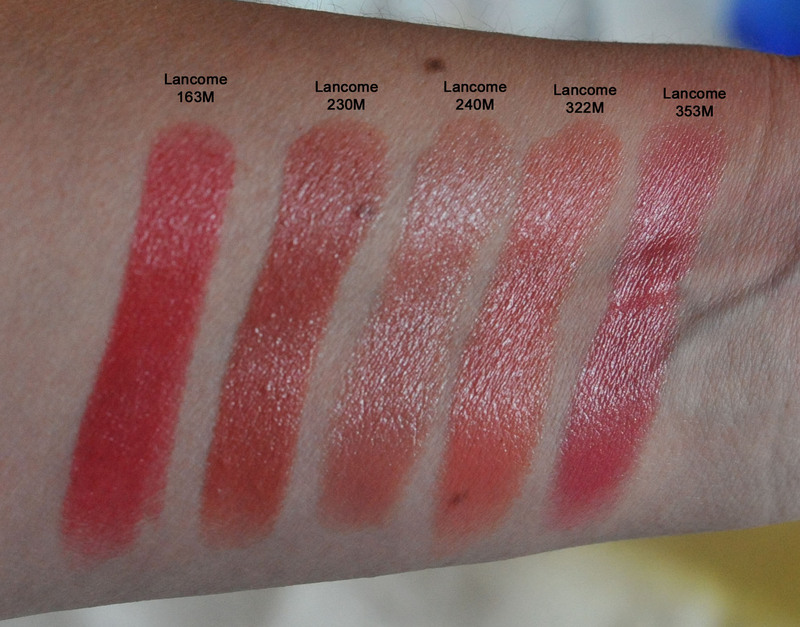 I will try to fill in the gaps if I manage to get more information, also I only have a few swatches to show you, if I get more I will add them as well. Jolis Matins are the most wearable and the lightest series of the three but still quite long lasting, maybe not 6 hours for the lightest shades but still long lasting. They all leave a stain when wiped. The stains of the 163M and the 353M are the strongest, then the 322M, followed by 230M and then 240M. 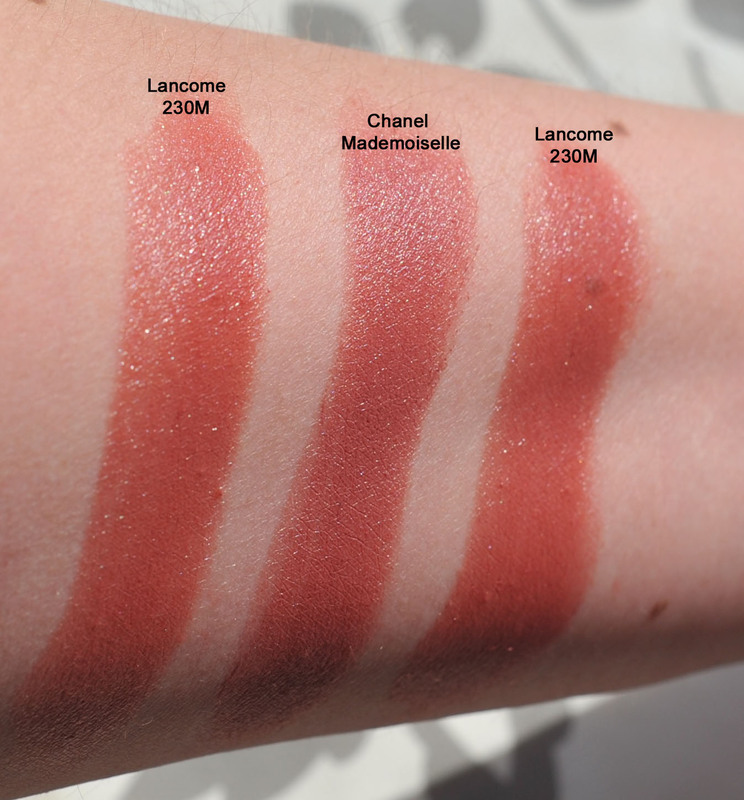 I was reading Rae’s excellent review of these lipsticks and I noticed that somebody was interested to see a swatch of the 230M side by side with the Chanel Mademoiselle, so here is a little swatch, I hope that helps ! The Chanel is darker and I prefer the Lancome since the light reflection of the Lancome makes it much more flattering on my skintone (NW20). The 340B was the first one I tried from all the series. I was scared by the intensity of the color ! Absolutely not work appropriate for the office but so bright and beautiful ! About the stains, this is the order of their strenght : 381B and 159B left the same stain intensity, then 351B and 340B are just behind, and the least strong of the 5 is the 200B as you can imagine. The stains of these 3 are very strong, the strongest and more long lasting is the 181N followed by the 170N and then the 377N. 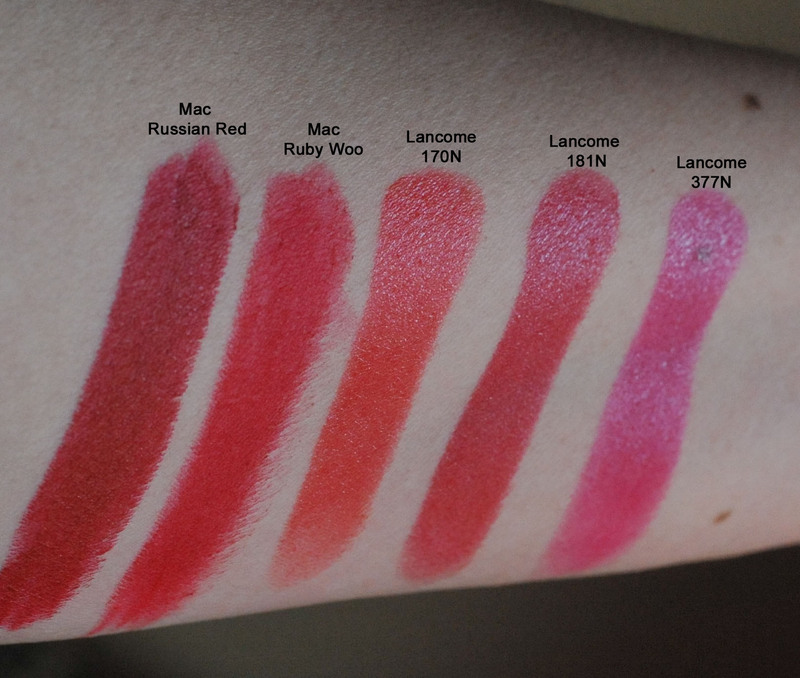 I have swatched them together with my favorite red lipsticks from Mac. Mac’s Russian Red remains the strongest of them all but is a matte formula. You need to try them ! There are so many ways to wear them. If the color is too bright, I will put for example some Mac Almondine lipglass on top and it will tone it down a bit. I even like to mix two colors together. I could play with them for ever ! My favorite liptick formula is the Armani “Rouge d’Armani”. 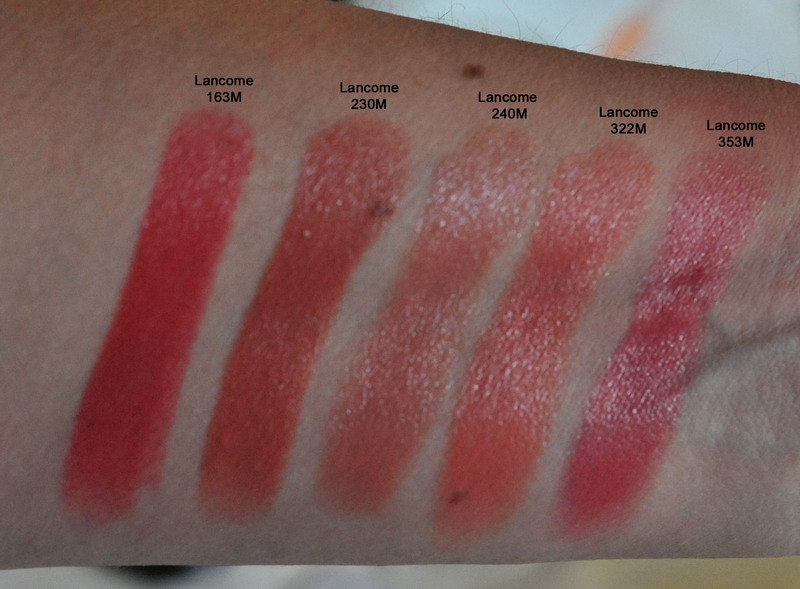 I wonder how they compare to the Lancomes, I will compare both formulas and will shortly upload swatches of the Armani as well. 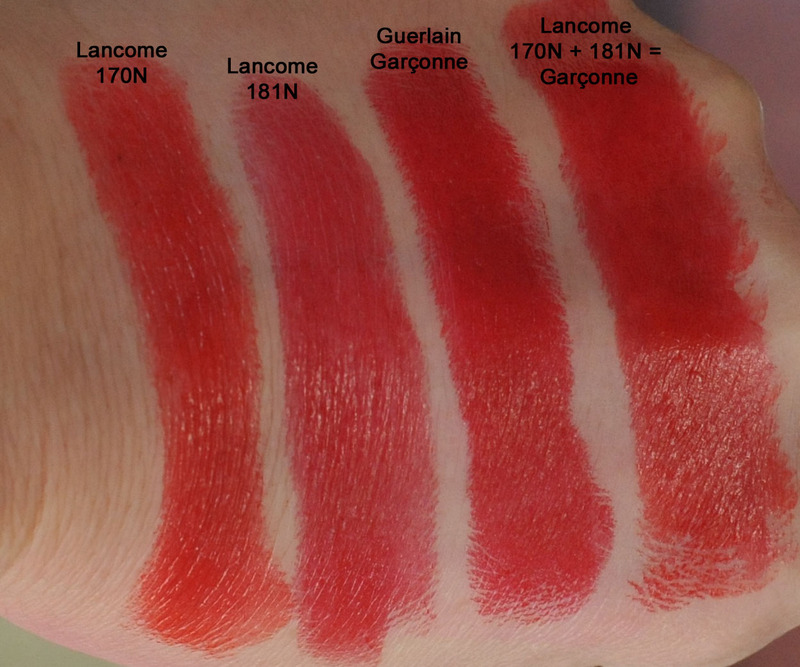 Lancome Rouge in Love and some swatches was last modified: March 4th, 2012 by Sonia G.
My pleasure 🙂 thank you Marie !